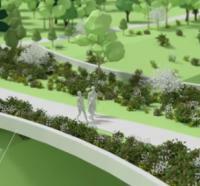 A landscaped bridge is among the planned measures for creation of a 'green corridor' as part of the HS2 high-speed railway in the UK. BAM has taken over from Struckton as the majority shareholder in a project to develop a floating bridge incorporating a tidal power plant. More than 32,000m3 of materials from the former Tappan Zee Bridge in New York are to be recycled as artificial reefs. Plans to expand the Hampton Roads Bridge-Tunnel (HRBT) in the eastern USA received environmental approval this week, allowing the project to move forward. Plans for a bridge in the Borneo rainforest have been scrapped following campaigning by conservationists. Connecticut Department of Transportation (CTDOT) is set to start work on the environmental impact statement (EIS) for a project to replace the I-84 Hartford Viaduct. Some 450,000 mussels are being relocated to enable construction of the new Interstate 74 bridge linking the US states of Iowa and Illinois over the Mississippi River. The governors of the US states of Indiana and Kentucky have signed a memorandum of agreement to launch the I-69 Ohio River Crossing project. Fugro has won a US$12.9 million contract to study the profiles of wind, waves and currents at the sites of three major crossings planned for Norwegian fjords. 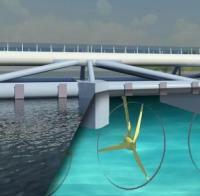 US federal approval has been given for a project to build a 3.9km bridge in North Carolina.